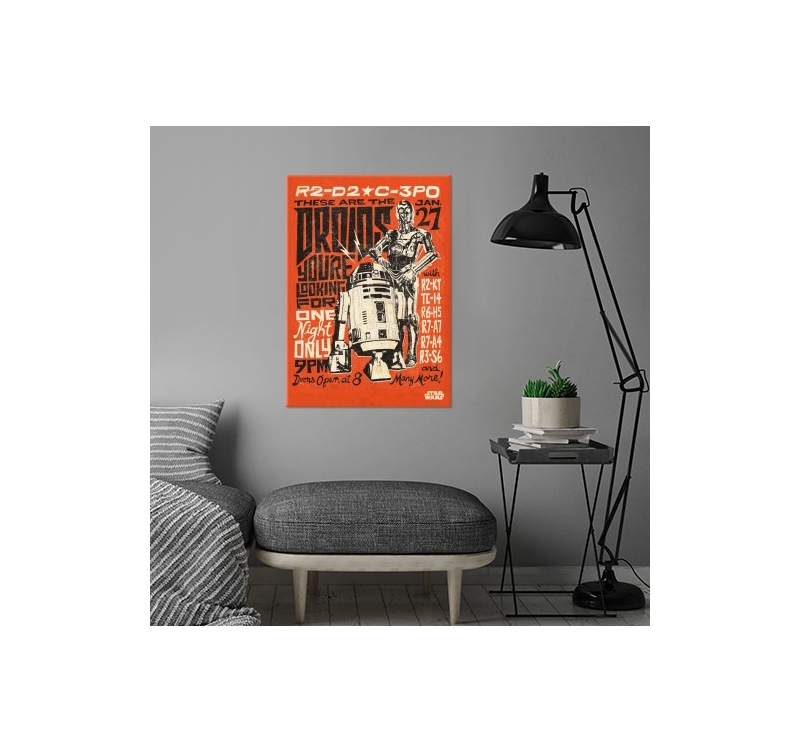 Famous robots C-3PO and R2-D2 on a metal poster ! This vintage metal poster is delivered with its hanging system. 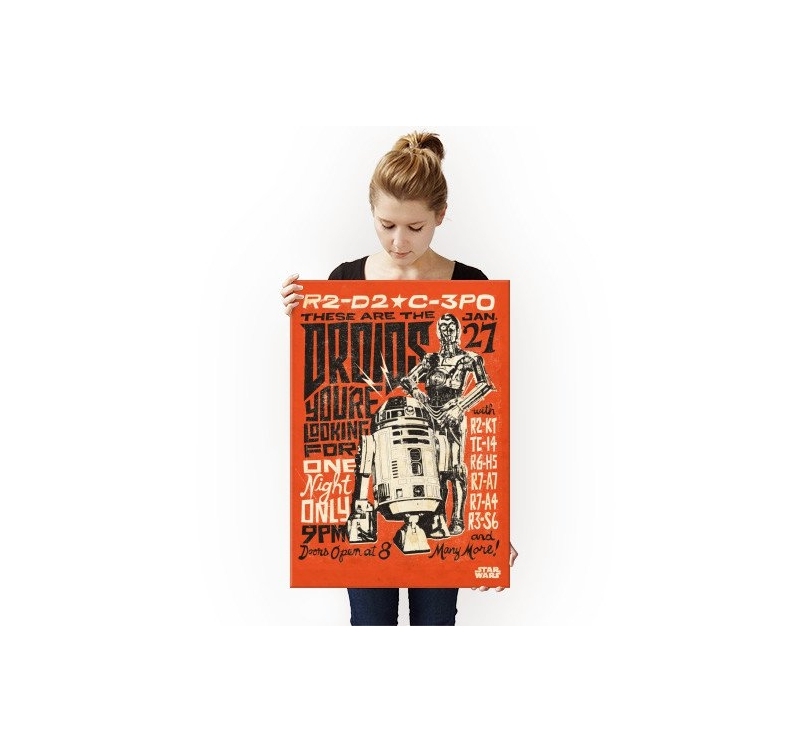 Free delivery in metropolitan France and Belgium for this wall poster of Star Wars. 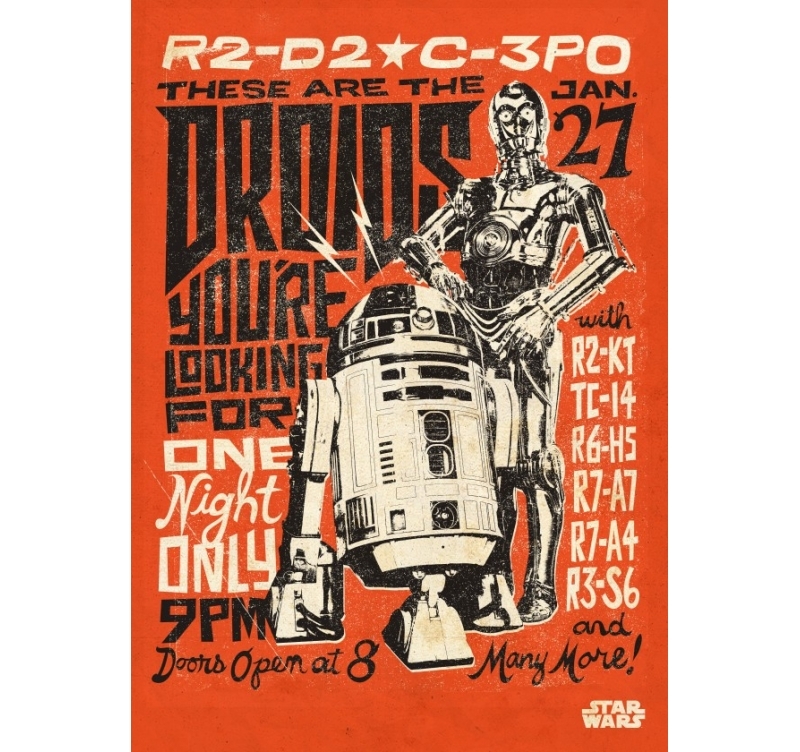 This metal poster recalls the 50’s and 60’s vintage posters and advertises an exclusive party with the Star Wars droids. 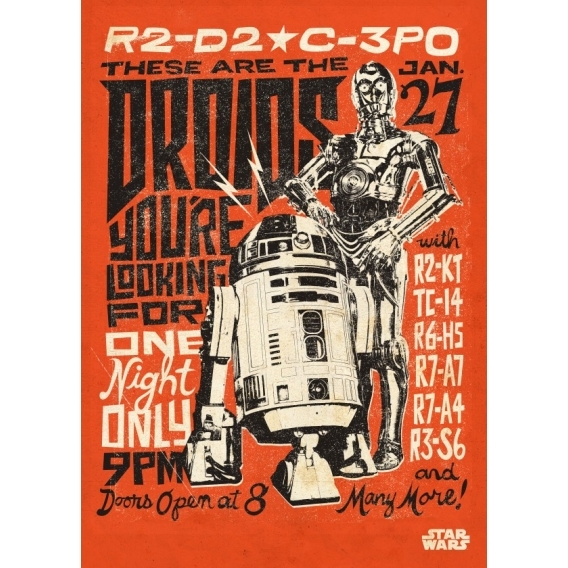 The red background gives energy to this wall poster on which the two stars of the event C-3PO and R2-D2 can be seen. 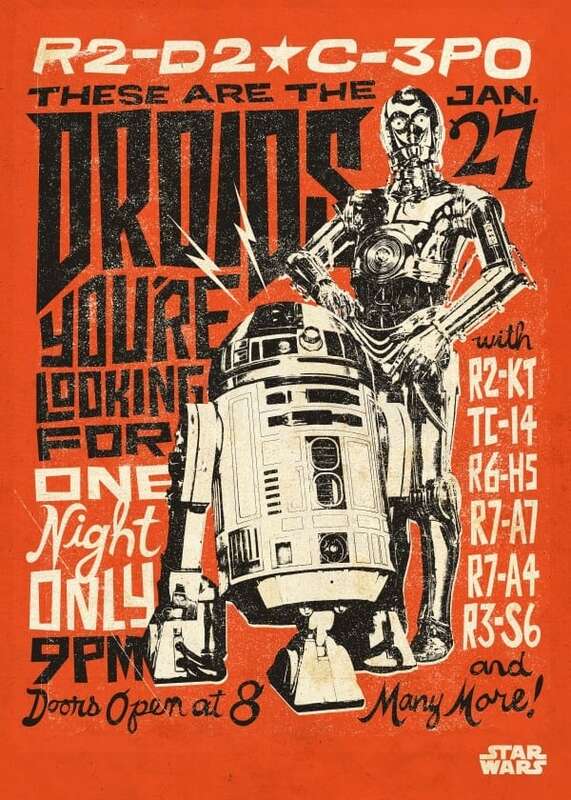 The artist that created this original work also thought about all the other droids like R2-KT or R3-S6. 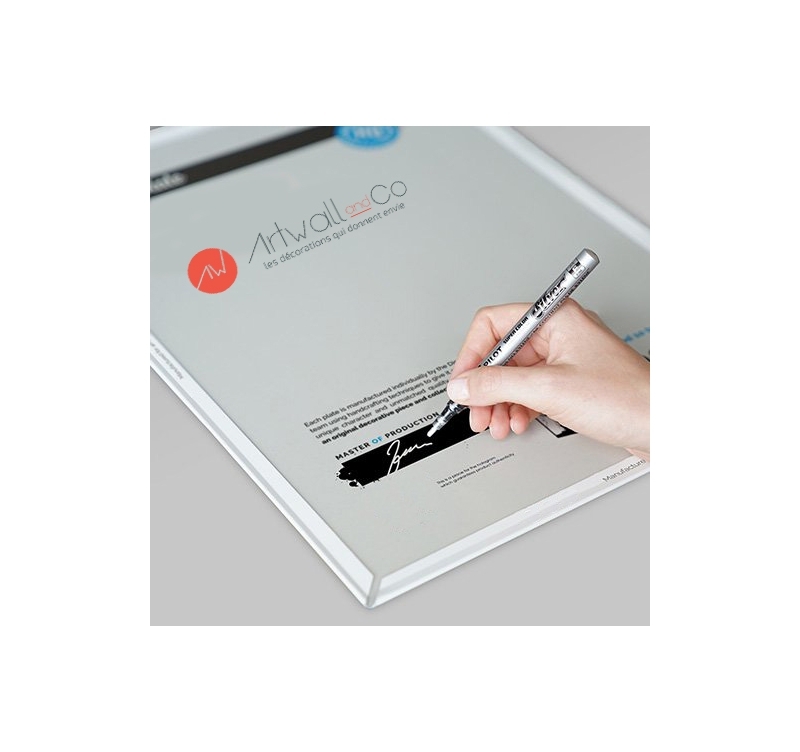 We authenticated this metal poster with a hologram sticker on the back and the signature of our production manager. 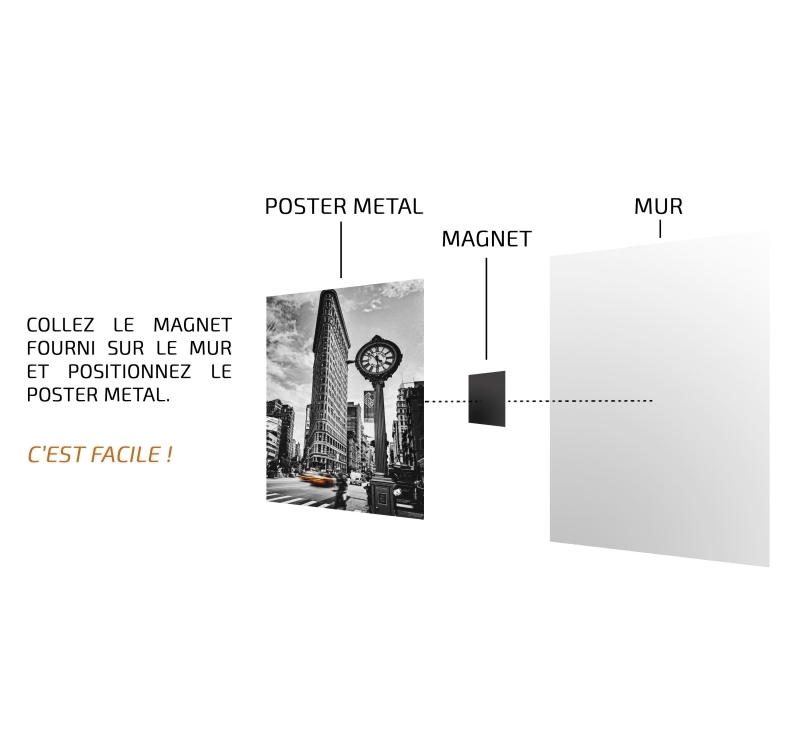 This retro poster can be easily hung up on your wall with our magnetic no-hole hanging system.